This is a BRAND NEW, HARD TO FIND AND DISCONTINUED set of LEGO Town / Promotional / Airline 1808 Plane with Tools & Pump from 1996. This set is still factory sealed and the box is in very good condition with minor shelf wear. 114 pieces, 2 minifigures_š. This is a BRAND NEW, HARD TO FIND AND DISCONTINUED set of LEGO Town / Promotional / Airline 2147 Dragon Fly from 1997. This set is still factory sealed and the box is in very good condition with minor shelf wear. 171 pieces, 2 minifigures_š. 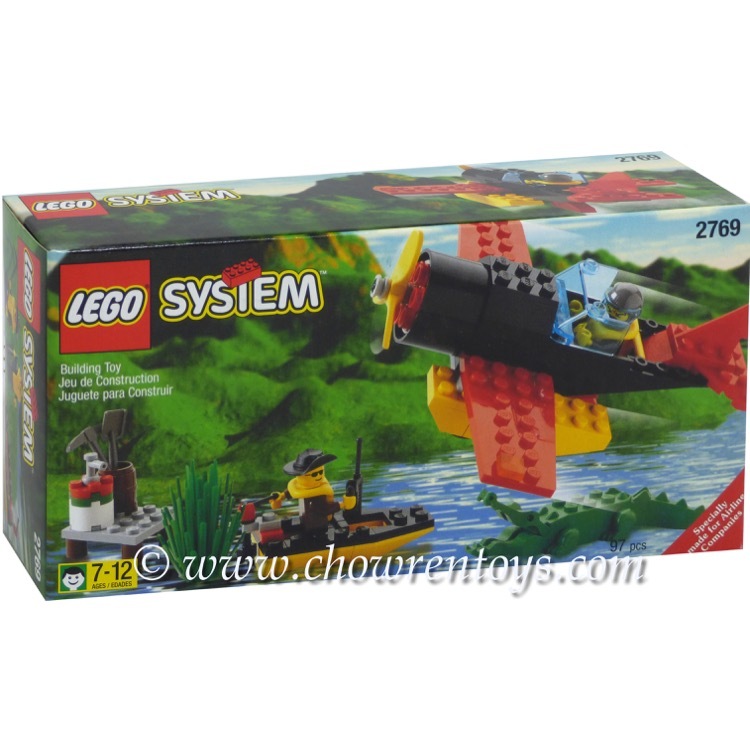 This is a BRAND NEW set of LEGO® Town 2769 Airline Promotional Swamp Plane Dock and Boat from 1999. This set is still factory sealed and the box is in very good condition with minor shelf wear. 97 pieces and 2 minifigures©. This is a BRAND NEW, HARD TO FIND AND DISCONTINUED set of LEGO Town / Promotional / Airline 2928 Airline Promotional Set from 2006. This set is still factory sealed and the box is in very good condition with minor shelf wear. 141 pieces, 2 minifigures_š. 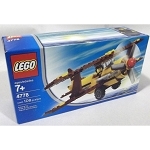 This is a BRAND NEW, HARD TO FIND AND DISCONTINUED set of LEGO Town Promotional Airline 4778 Biplane from 2005. This set is still factory sealed and the box is in good condition with minor shelf wear, wrinkles and creases. 108 pieces, 1 minifigure.